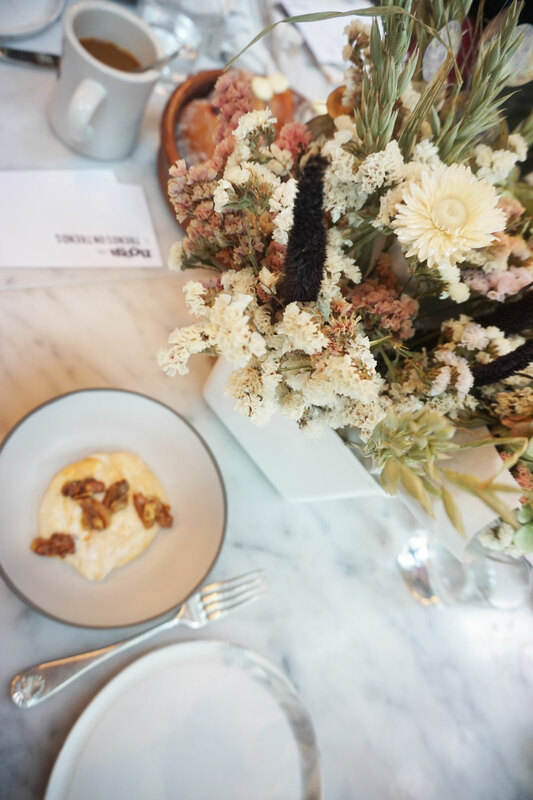 Last week, I was thrilled to be invited to a breakfast gathering in Fremont at with Trends on Trends and noosa yoghurt, prepared by Chef Renee Erickson at The Whale Wins. 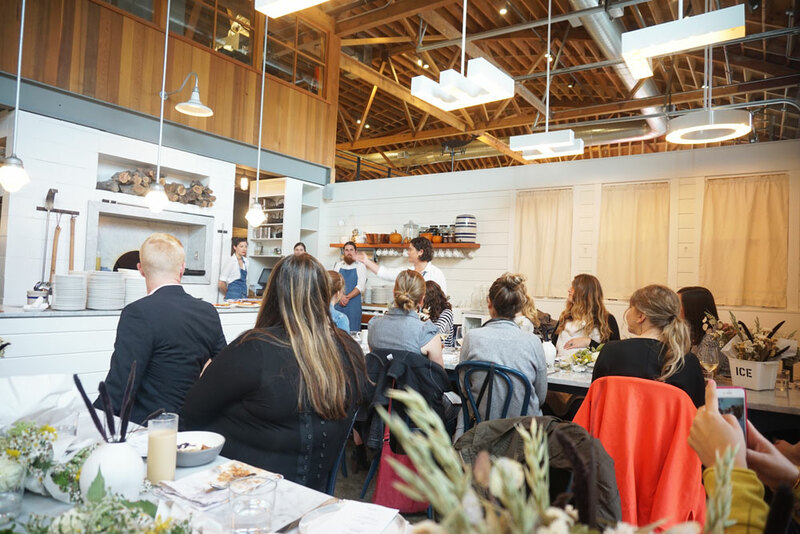 The breakfast was a meeting of the minds: creatives from the Seattle area from food to fashion to photography gathered and chatted the morning away. Even though I’m not a food blogger, I still enjoy food. Eating it, anyway. Quite a bit actually. The spread did not disappoint. To start the morning, there was a noosa yoghurt bar, complete with toppings curated by the chef. I chose Pumpkin with walnuts, which was a sweet yet tart, extremely creamy yoghurt. The walnuts added a nice crunch. The main dish for our breakfast soiree was a delicious spin on eggs benedict. 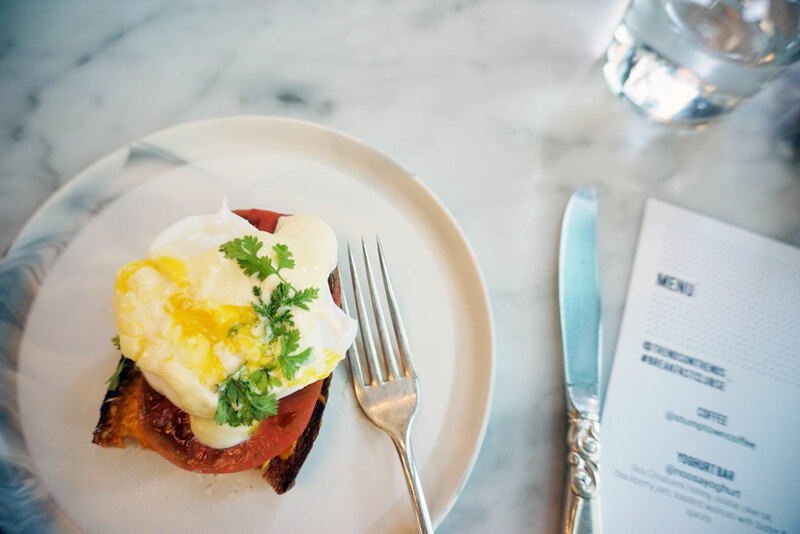 Crunchy toast was topped with a poached egg, sliced tomatoes, herbs, and saffron aioli. A side salad was also offered, and considering I’m not one to fill up on salad, it was delicious. The dressing really made the salad, and I wish I had the recipe because I would probably eat a lot more of the green stuff. Besides the food, it was wonderful to meet many new faces. Typically at events like this I’m meeting fellow style bloggers, and already know quite a few in Seattle. In this group, I didn’t recognize anyone! One thing I did realize: all bloggers are the same. Snapping and staging multiple photos for Instagram and for the blog is common across all creatives, and it’s socially acceptable. In real life with friends and family? Well, we all can commiserate that one. Overall, it was a treat to start my weekend off with noosa and delicious fare by Chef Erickson. I’d say we’re pretty lucky to have beautiful establishments like this one in Seattle, and such a wonderful creative community. What a gorgeous meal!!! And that eggs Benedict sounds insane. Saffron aioli?! Yes please. What a cool opportunity to get to network and hang out with other bloggers. I know right?! It was an amazing breakfast and hanging out with other bloggers is always the best! Love the ambiance I can tell through your pictures! The food looked amazing!! Thanks Ev, it really was! Me too! Her doughnuts are amazing! Everything looks so yummy! I need to find a new breakfast spot! Finding great breakfast spot is a necessity! Hope you find a good one soon, Trish! Yummm that place looks amazing! Sounds like a great time! Looks like an awesome breakfast! I love breakfast! My fiance and I are always looking for new breakfast places. The last one we tried was amazing! Hopefully we find another new one soon! Trying new and delicious breakfast places is truly the best! 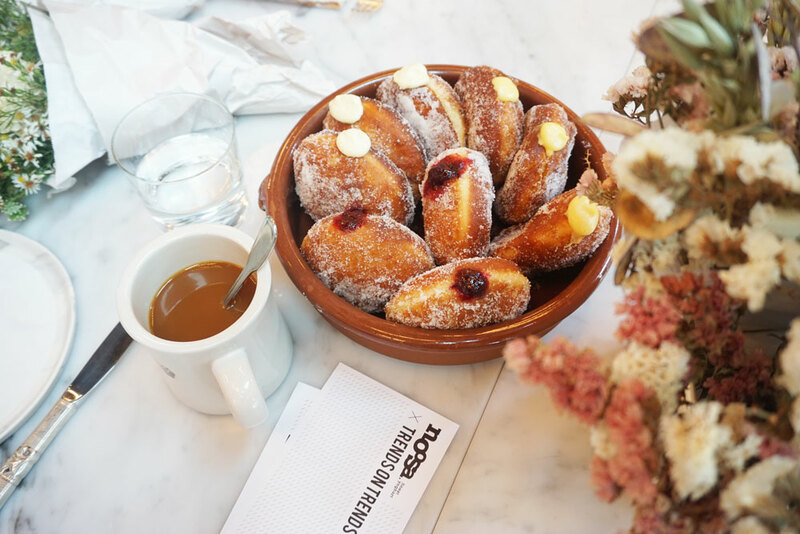 A little jealous of this event, I have to say, and those donuts look AMAZING!! I bet it was fun meeting new faces! Yum, French toast is one of my favorite morning treats! Jealous! I keep meaning to go to The Whale Wins! Anyway, looking forward to the opening of that donut shop! I need to go back now to experience their dinners! And me too! The waffles seems very scrumptious! I also love the flower arrangement. Thanks Audrey, it was a beautiful setting! Oh my god, those donuts look amazing. They really were! I can’t wait to try more from her!